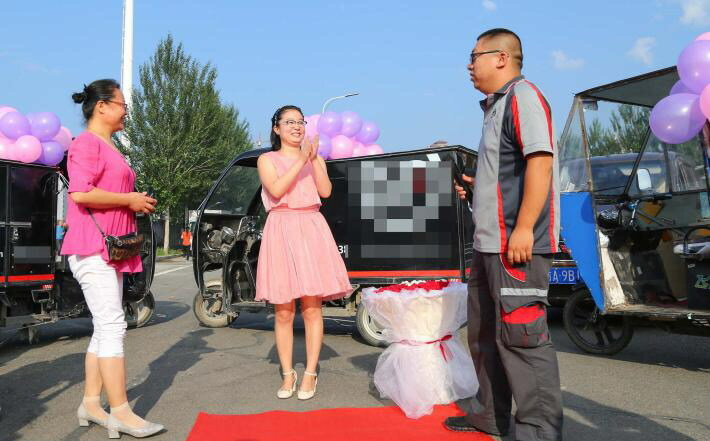 A romantic delivery man played the numbers game in an unusual marriage proposal to his fiancée. 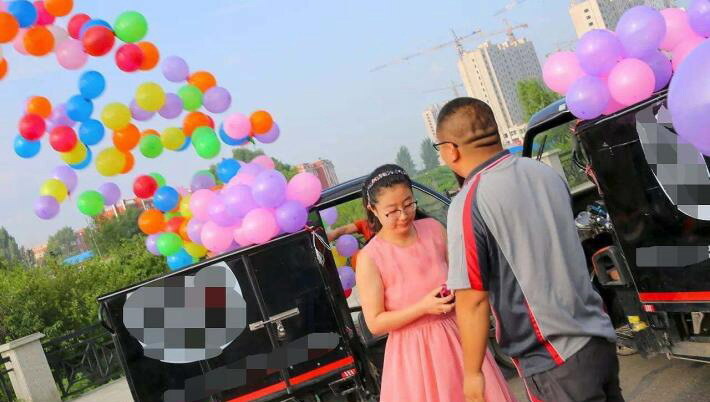 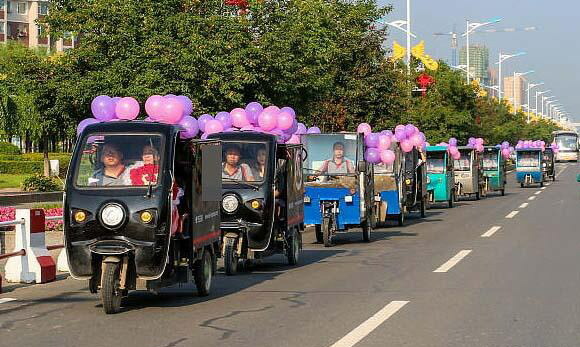 The man, surnamed Li, in Changchun, capital of north China’s Jilin Province, hired a convoy of 11 delivery carts, all decorated with pink and purple balloons, as part of a unique declaration of love to woo the love of his life. 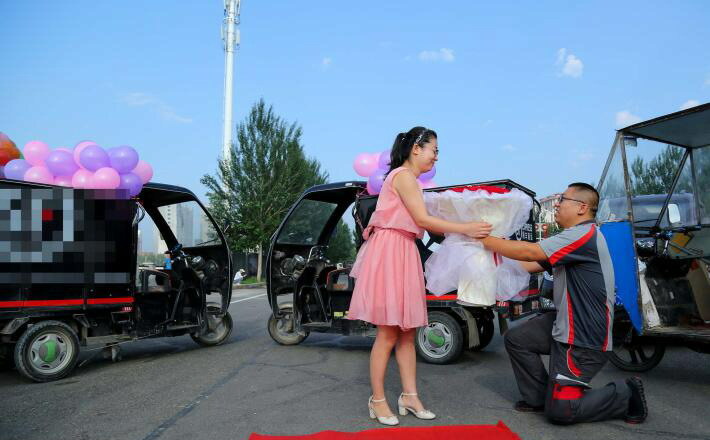 Li even rolled out a red carpet as he got down on bended knee to ask for his girlfriend’s hand in marriage. 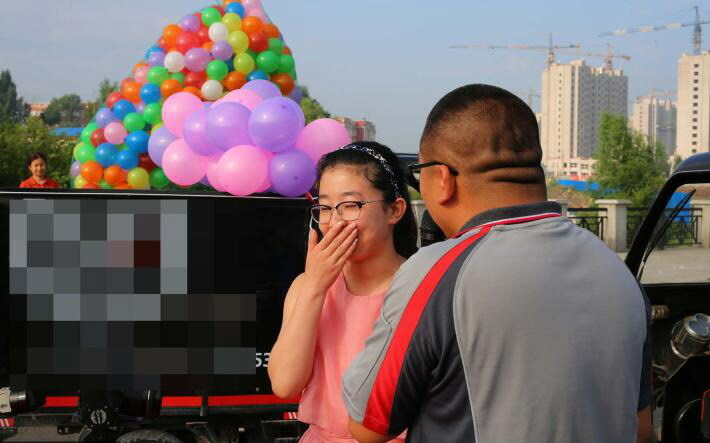 Yang, his girlfriend, thankfully accepted Li’s proposal at 7am on July 4, American Independence Day. 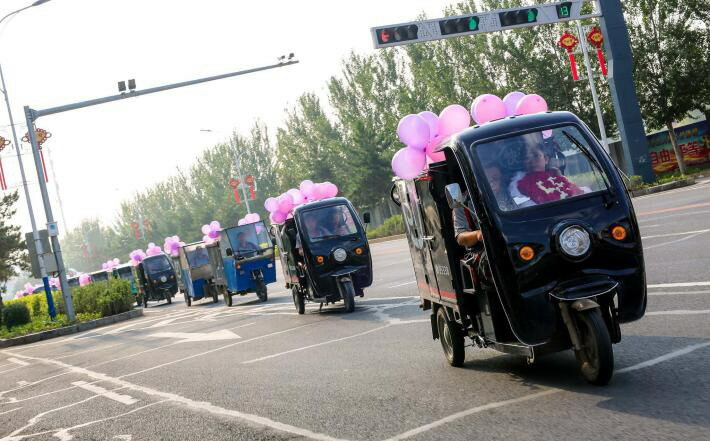 Li said he deliberately picked the number “11” as it was a symbol to “love a person’s heart and soul” in Chinese. 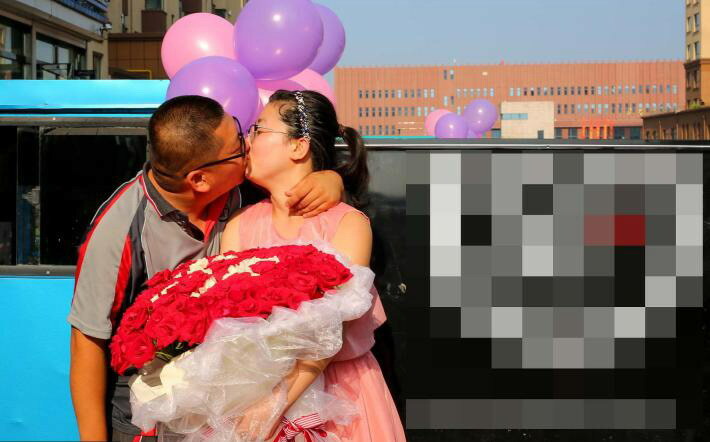 The couple first met during one of Yang’s online shopping product return experiences, while Li was the delivery man and love blossomed from there.